Peter Ottomano earned his B.A. in Government from Franklin and Marshall College in 1976 and his J.D. from Suffolk University in 1980, when he was admitted to the Connecticut and U.S. District Court, District of Connecticut. He was admitted to the U.S. Court of Appeals, Second Circuit in 1987, and to the U.S. Supreme Court in 1996. His previous experience involved employment with a major Connecticut defense litigation firm, followed by a move to a mid-sized law firm with an active plaintiff's personal injury practice. In 1987, he partnered with Charles S. Johnson, forming the Westport law firm of Ottomano and Johnson LLC. 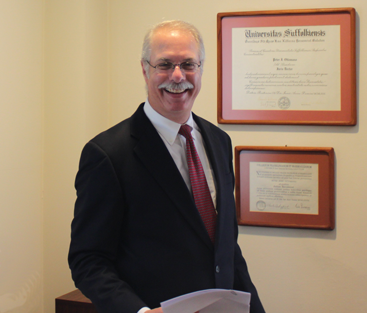 In 1987, 1989, 1990 and 1991, Attorney Ottomano was appointed by the Connecticut Superior Court to take action necessary to protect clients of inactive and resigned attorneys. He served as Assistant Town Attorney for the Town of Trumbull from 1988-1989. In 2006 he was appointed to the Local Grievance Panel for the Danbury Judicial District for a term of three years; in 2009 he was appointed for an additional three year term. He has served as a Weston Police Commissioner since 1996. 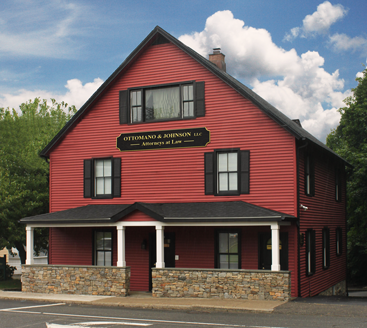 Attorney Ottomano's practice concentrates on plaintiffs' personal injury, workers' compensation, and real estate law. He also has extensive experience as an arbitrator and mediator.